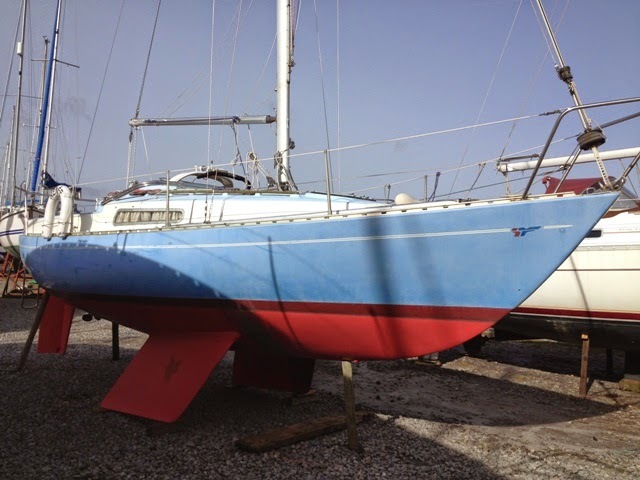 A good general introduction to this David Sadler designed yacht can be found by visiting the first website in the ‘Links’ section below. It appears that there were three versions of the yacht: the Mk 1, the Mk 11 and the Mk 111. See Sailboatdata.com links below for differences between them. 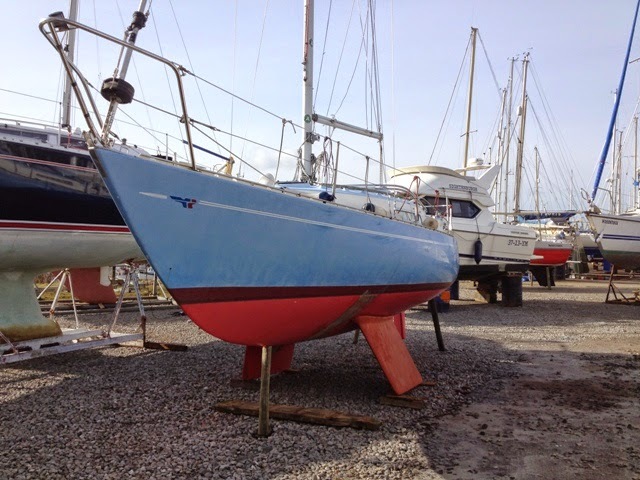 David Sadler first received recognition as the designer of the very successful Contessa 26, a long keel yacht similar in respects to a Nordic Folkboat, but moulded in GRP. The first Mk 1 Sadler 25 came off her moulds in 1974, and a good many that followed were sold in kit form for completion by owners. The Mk 11 had a better interior with integral GRP mouldings for a galley, a chart table and bunk bases. 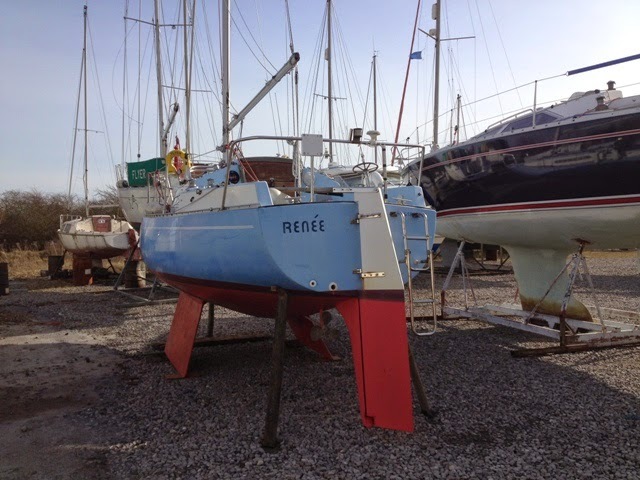 She was also modified with a taller rig and increased sail area. 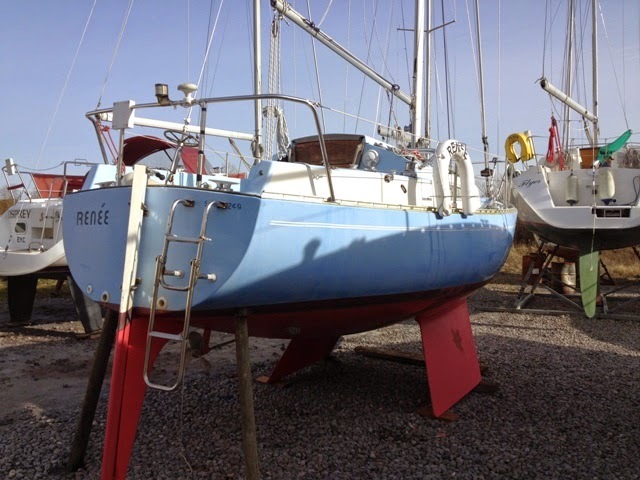 Prospective owners could choose between boats having a fin keel, or a centreboard, or bilge keels. The Mk 111 made her debut in 1979, and she was replaced by the Sadler 26 in 1981. Bill, these are great little boats _ crewed on one for a guy taking his yachtmaster out of the orwell years ago, he failed miserably but we had a great time sailing especially the night passage in November and brisk conditions. Max, A well proven yacht, both fast and seaworthy. See this link for a photo of one that sailed from Bermuda to the Azores.